Esen Sekerkarar is a Mindfulness & MBSR teacher, NLP practitioner, international speaker and organiser in the areas of Mindfulness, spirituality and consciousness. She participated in and completed the MBSR (Mindfulness Based Stress Reduction) Teacher Training Pathway of the University of Massachusetts Medical School Center for Mindfulness which is founded by Jon Kabat-Zinn. Esen has been organising international events since 1999 and she was a co-writer of a weekly documentary programme which was broadcast on one of the national TV channels. Her articles appeared in worldwide magazines and journals. Esen’s continuous interest in spirituality, consciousness and self-development inspired her to attend various related events since an early age. She founded “Conscious Lifeworks” in 2014 in order to share knowledge and tools that would help us all towards a conscious and enlightened human evolution. 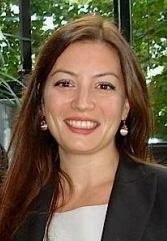 Esen lived and worked in various different countries in Europe and she currently resides in London. She teaches Mindfulness and also offers MBSR (Mindfulness Based Stress Reduction) training for institutions, firms, schools and groups as well as one-to-one Mindfulness training. She also organises events such as conferences, workshops, retreat trips and makes interviews with spiritual teachers. She continues teaching and lecturing at conferences internationally. To learn more about the arrangements, please visit the “Events” menu. If you would like to book a lecture or a training with Esen, please send an email to info[at]consciouslifeworks.com.